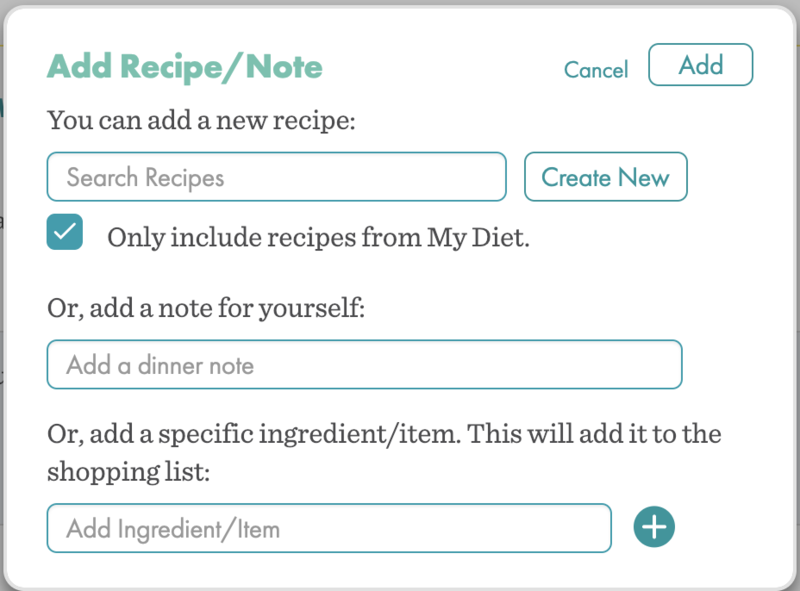 Adding a note is a great feature of your Real Plans Meal Planner that really helps make your Meal Planner your own. There are two kinds of notes you can add: a recurring note to automatically show up on your planner every week and a one-time note to show up only on the week you have selected. Let’s take a look at how to make a one-time note. One-time notes are great for reminding yourself that guests are coming over on Friday or that there is a school play on Wednesday afternoon. These types of events affect how many you cook for, whether or not you will be cooking and eating at home, or if you need to eat dinner a bit earlier than usual on a particular night. Adding a note can help you prepare for these events and make sure you have the proper type of meal planned. From your Meal Planner, look for the days of the week on the left-hand side. You should see a symbol next to each day. Choose whether you would like to attach your note to your breakfast, lunch, or dinner meal. From here, there are many things you can add to your Meal Planner. See this support article to learn what all you can do here. To add a note, simply type the note in the appropriate box and click on “Add”. You should now see your note added to your Meal Planner. You can add one note per meal slot, and you can change your note at any time. To edit, simply click on the note and make your changes. If plans change and you no longer need your note, drag it to the trash bin to remove it from your plan. Look for the days of the week on the left-hand side. Click on the words “Add Note” under the day you need. Select the meal to which you want to add a recurring note, type the note in the box, and click “Add”. Click “Next” to confirm your changes. Once you have applied your changes, your note will now appear in your Meal Planner on a weekly basis. 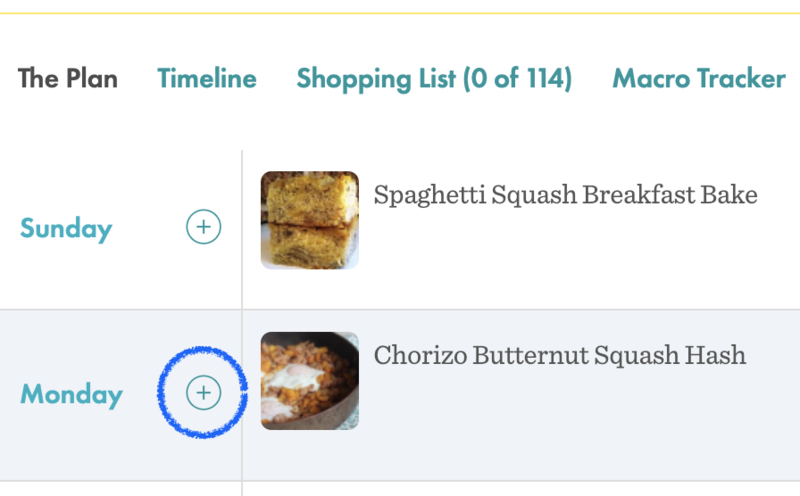 You can remove or change the note in your Meal Planner if it does not apply that week using the same method as a one-time note (above), but the note will continue to show up weekly until you remove it in the My Schedule page. To remove the note, go to Settings->My Meal Plan and advance to the My Schedule page. Find the note you wish to remove. Click on the red X, and the note will disappear. Be sure to click “Next” and confirm your changes. 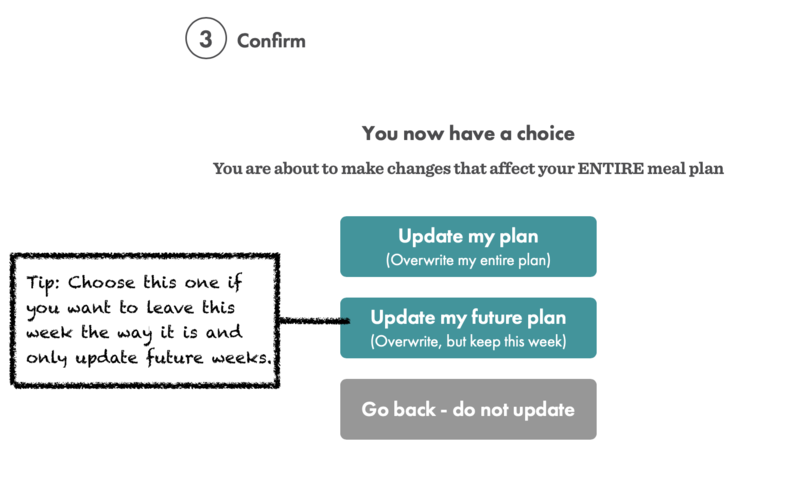 Again, this will overwrite your plan, so be sure to click on “Update My Future Plan” if you want to keep this week the way it is.